We’re delighted to welcome author / illustrator Deborah Fajerman to Story Snug. 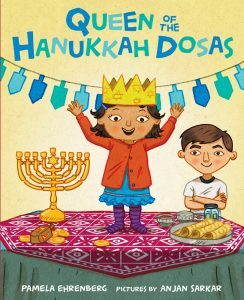 We really enjoyed reading her picture book recommendation, Queen of the Hanukkah Dosas, and hearing about her family’s experiences of Chanukah and Christmas. 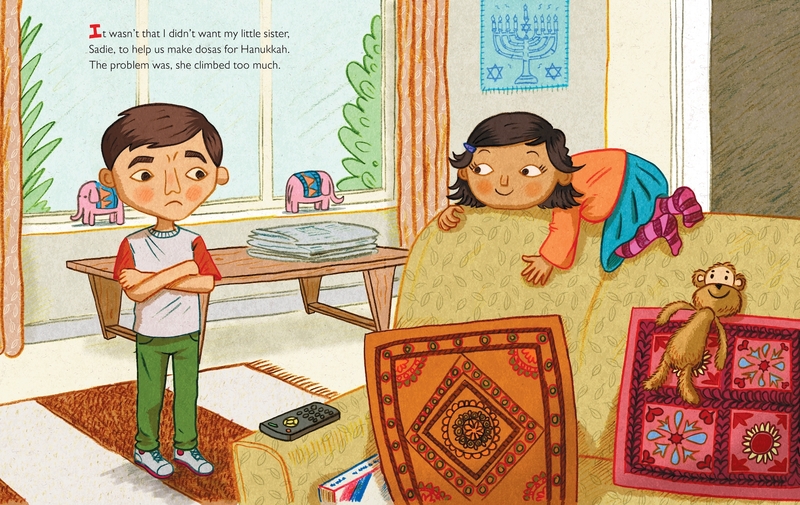 The family in Queen of the Hanukkah Dosas has an Indian mum and a white Jewish dad. We don’t know whether the mum is Jewish too, but the whole family celebrates Chanukah together. At Chanukah it’s traditional to eat fried foods. So you might eat doughnuts, or those crispy-but-smelly-to-cook potato pancakes known as latkes. For their own Chanukah food tradition, our family in the book makes dosa, a type of delicious savoury pancake made from rice and lentils. Like latkes it’s fried, and like latkes, takes a certain amount of ceremony and time to prepare. 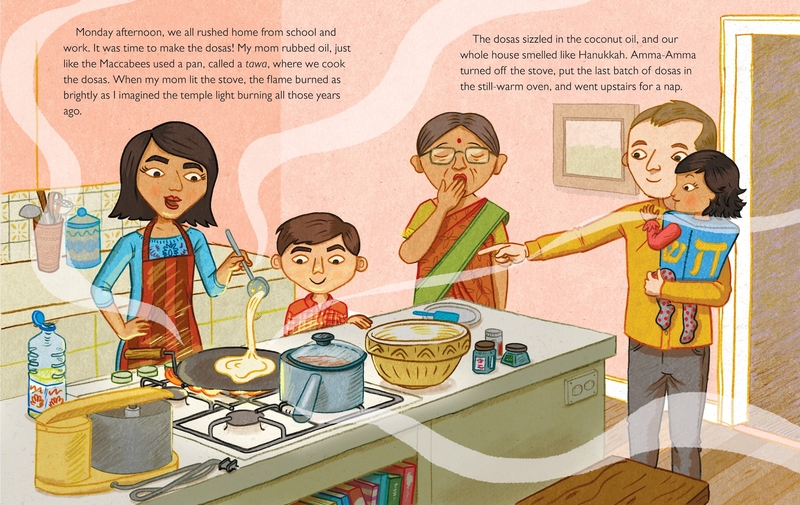 The story centres around the family’s yearly ritual of making dosas. The trip to the Indian shop, the overnight soaking of the rice and lentils, followed by cooking. Woven through the book is the story of toddler Sadie, who is addicted to climbing. Every opportunity she gets, she clambers up somewhere risky, like a wobbly pyramid of cans at the supermarket. But her big brother has the knack of tempting her to climb down with his special Chanukah song: “I have a little dosa”, adapted from a children’s Chanukah song: “I have a little dreidel’. Big bro frets about Sadie’s climbing all the way through the book. But it turns out that her climbing can save the day and she becomes the queen of the Chanukah dosas. When I read this with my children, who have one Jewish and one atheist parent, they talked about the brother and sister story rather than the cultural stuff going on in the background. That’s fine because it shows that it’s a good story rather than being “educational”. It’s nice to have books like this, because you can read them alongside all the Christmas books, and make sure that children can see that some families have different celebrations and different ways of doing things. In our house we do both: we have a Chanukah gathering with my family, and then a Christmas day with all the presents and turkey. When I was a child we did Chanukah with presents, a big roast plus latkes, lighting of the candles, and on one of the 8 days, a date agreed after tense parent-child negotiations, presents were left overnight in a pillow at the end of the bed by a mysterious, non-Santa entity. In the pillow were an orange for the festive smell, and a Terry’s chocolate orange to munch in bed before you were allowed to jump on your parents and open your presents. Then Christmas day was an ordinary day, no presents, no turkey. But with the shops all closed, and no public transport. Luckily it was a good day to be stuck inside watching TV. When I was about 5, I insisted on decorating a small fir tree in the front garden which my parents called a ‘Chanukah bush’. Chanukah bush. I ask you. In later years a tradition developed of ‘Christmas decorating’ where my parents would hand me and my brother paintbrushes and we’d all repaint the walls. I mean, we were basically prisoners because the buses weren’t running, so we didn’t have much choice. Every year we visited our German friends, who always had a real Christmas tree so tall it bent over at the tip. It was festooned with traditional German decorations including those spicy biscuits, and a thousand red candles. Our great British Christmas is a German import, brought here by Queen Victoria, and re-made millions of times by people in their own homes to their own family recipe. Looking back at my own chimerical childhood Chanukah, and reading books like Queen of the Hannukah Dosas, brings home the way we all make our family rituals. We shape them to suit us, whether it’s the time you open your presents on Christmas morning, or the day you eat a turkey. 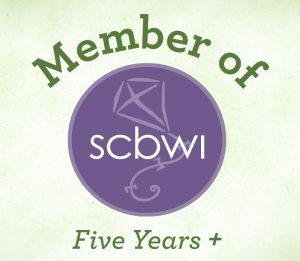 The book touches on what it’s like being different inside your own community when big brother notices that the other children from Hebrew school don’t go to the Indian shop. It’s not a sadness for him, but it makes you think about how important it is to children to feel secure about their place in the family and community. I love the gorgeously warm illustrations on a hand-made paper background. The children are cute but very real and expressive. As a little present at the end, there are some lovely foodie end-papers picking out the colourful spice packaging and home-labelled jars with the ingredients for the dosas and sambar they eat at their Chanukah party. There’s a recipe at the end so you can have a go yourself. You’ll be dying to sink your teeth into a dosa by the end of this book! South Indian Jewish Chanukah food is apparently more likely to be a deep-fried sweet rice snack (Google tells me) but dosas sound pretty good to me. We hope you enjoy your Christmas doughnuts Deborah! The book sounds fabulous and you’ve given us a really fascinating insight into your family’s celebrations and experiences. Thank you so much for sharing them with us. 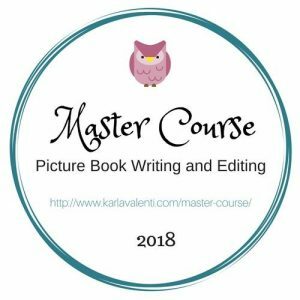 Deborah Fajerman is a picture book author / illustrator. Her latest book is ‘How to be a Supercow!’ which is for children aged 3-6. 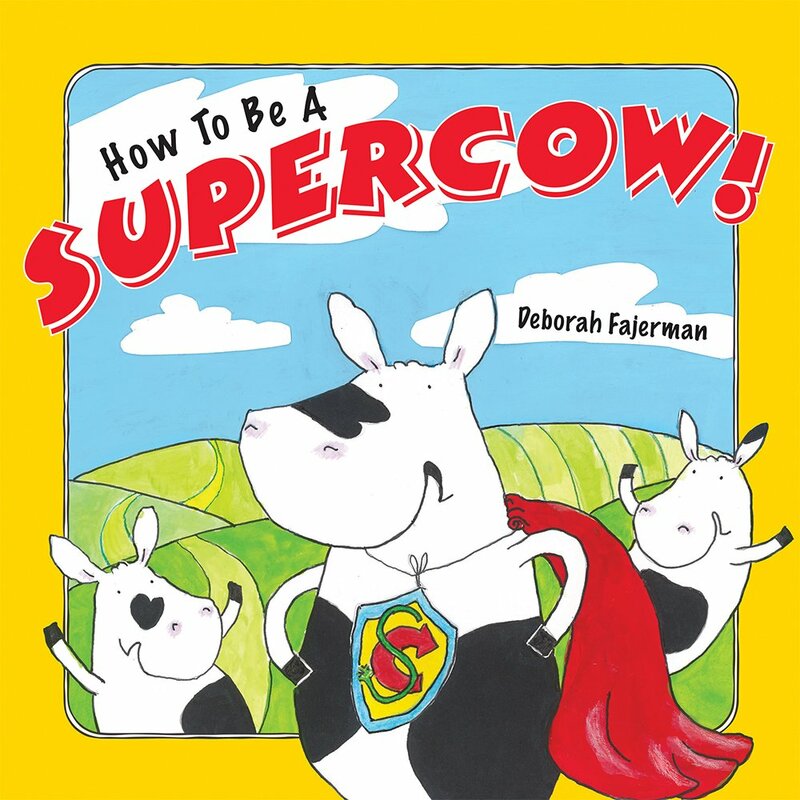 ‘How to be a Supercow!’ is about some young cows who refuse to go to bed. 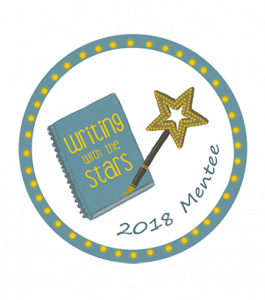 This story was partly inspired by my own children, who always come up with the most amazing bedtime distractions. It was also inspired by reading comics, starting with the Beano, and progressing through Jackie photo stories, Garfield, the Moomins, plus a sprinkling of Thurber and Steve Bell. I don’t tend to read graphic novels but I’m a sucker for a gag cartoon or anything by Posy Simmons. I now read my daughter’s Beano. It’s absolutely brilliant. How to Be a Supercow! 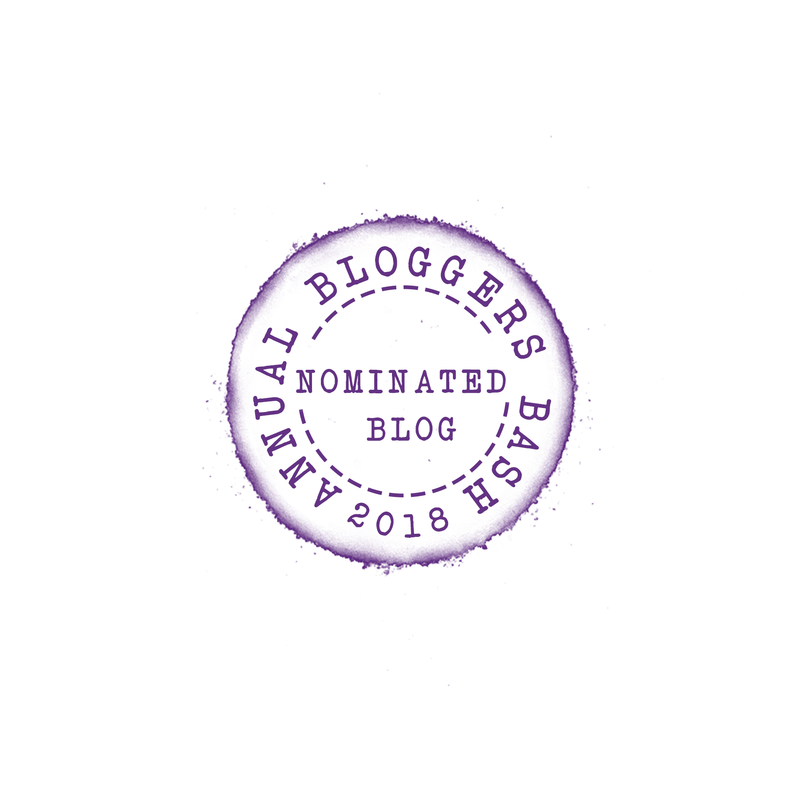 Dec 14th: Chitra Soundar chooses What’s Cooking, Jamela? This sounds a lovely book about the two different cultures. It’s interesting to read about your own family and culture too. I think it’s great and I’m fascinated by Deborah’s account of her experiences. I’ve never tried Dosas, it’s really interesting to hear about how Hanukkah is celebrated and the type of food that is prepared.